At E J Carpets, we supply and install the finest in domestic carpets, vinyl flooring, laminate and real wood flooring for homeowners across South East, South West London and the surrounding areas. We provide specialist floor installers that get to your property quickly and provide a high quality installation service for all of your designer flooring. Our team professionally install new carpets, carpet tiles, vinyls, laminate flooring and real wood flooring to properties across Kent and the South East. With our hard working floor installers, we are certain that we will provide a professional finish on any and all of your floor installations. Our range of carpets and designer flooring solutions ensures that you are certain to find something that suits your needs and fits the style of your property. We understand that you will be looking for a certain type of floor and our floor installers will help you find that perfect floor. Our wide range of domestic flooring will ensure we have the right carpet, vinyl, laminate flooring or hardwood flooring that suits you. Our flooring installers will ensure your new flooring is fitted correctly to maximise its life time and give you the best feeling beneath your feet. Call us today on 0208 699 9300 to arrange your free survey and no obligation quotation. Talk to our carpet fitters today and you will get all the information you need for your new carpet. We bring our carpets and flooring samples to you! Arranged at your convenience, one of our friendly and helpful floor installers will visit your home and take you through our huge range of carpets and designer flooring samples. You are assured to find that perfect new floor for your home as we have a range of styles and designs of carpets, vinyls, laminate flooring and real wood flooring that create stunning new visuals for any room. Being able to view our samples of new carpets and carpet tiles in your own home will allow you to see exactly how the floor will look in your home. We will loan you samples so that you have time to think it over before committing to buy. We make sure the right designer flooring and carpets are picked for your property, fitting the style and colours of your home. Our carpet fitters know what is best and have many years of experience so will only provide the very best in a new floor installation. We stock the leading names in floor installation and only ever offer domestic flooring which we feel excels in quality and value. We work hand in hand with the Greendale Floor Coverings group to ensure that we bring in the latest ranges of designer flooring from the top manufacturers at very reasonable prices. From a new carpet to a full range of carpet tiles, we have the perfect solution when looking for a new floor installation for your home. Fitted by our experienced and dedicated installation teams, we guarantee domestic flooring that lasts. The quality of our installations matches the quality of new carpet, vinyl, laminate or real wood floor we supply and everything we do is carried out to the highest possible standards, ensuring that you have a brand new floor that will last you for many years. We have one of London’s largest ranges of domestic flooring and if it's not a stocked item we can get it for you. Pop in the showroom or telephone us to book a home visit today. We stock a wide range of new carpets, laminates, vinyls and many other designer flooring samples which are perfect for any property. If you are a homeowner that is looking for a new carpet for your living room or new vinyl flooring for your kitchen or bathroom; we have the solution. 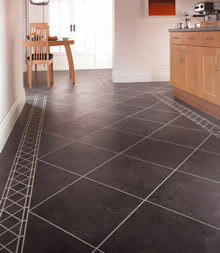 Our specialist flooring installers will prepare the floor and install your new stunning floor quickly and efficiently. We only ever install the very best; all our flooring options are manufactured by some of the biggest names in the industry, including Axminster, Westex, Karndean and Greendale Floor Coverings, guaranteeing you absolute quality, reliability and style. We provide homeowners with the very best in domestic carpet, real wood, vinyl and laminate flooring installations. Some of our recent installation projects have been for customers in Dulwich, Beckenham, Lewisham, Streatham, Catford, Bellingham, Penge, Crystal Palace and Brockley. For more information about our huge range of domestic flooring options, please do not hesitate to visit our Forest Hill showroom or contact one of our helpful and friendly team.